Gluten-Free Living > Tips > What gluten-free foods can I eat to help me sleep well? What gluten-free foods can I eat to help me sleep well? 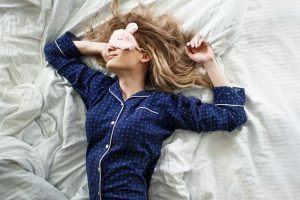 Relaxation techniques, modern mattresses and soothing sounds can all go a long way in improving sleep, but diet is often overlooked as an impactful factor. Certain gluten-free foods, however, contain nutrients that can make it much easier to fall asleep. Here are five gluten-free bedtime snacks to enjoy for a better night’s sleep.